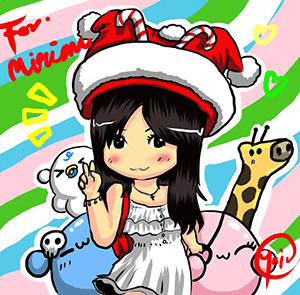 Thai and Japanese cuisines are some of my top loved cuisines although they are both so different! 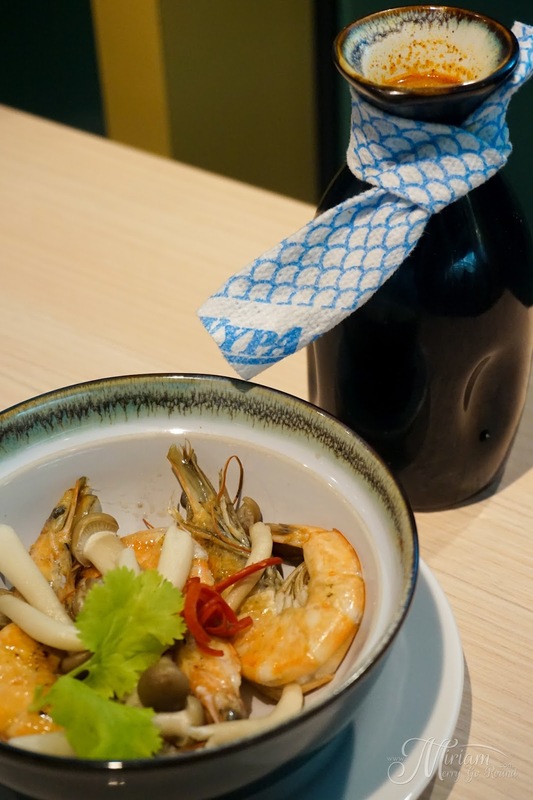 Thai cuisines carry heavier and stronger flavors that can sometimes pack a punch while you have the dainty yet memorable flavors from Japanese dishes. But what happens when both of them get together? 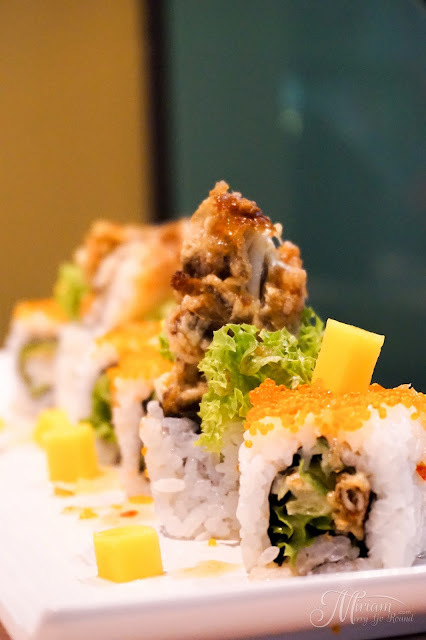 Well, you get a whole load of fun especially at Sanoook Thai Japanese Restaurant! Located at Sunway Pyramid Hotel West, this fusion restaurant offers not only good food but also great environment for you to bond with friends and family. 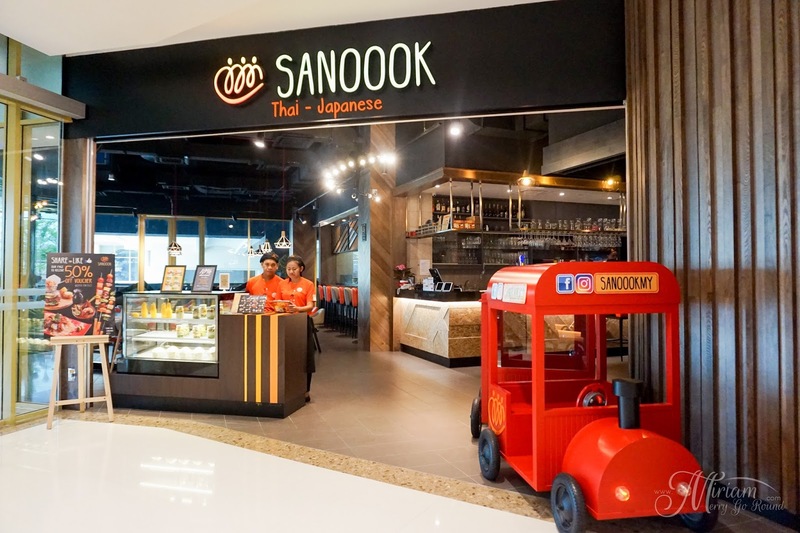 In Thai, Sanook means fun, fun and more FUN! Step into Sanoook to satisfy your Thai & Japanese carving altogether, where friendships flourish with good food and fun! 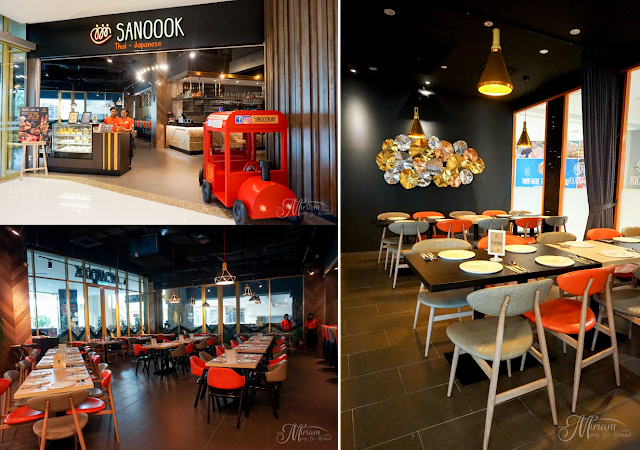 Great food is always a must during gatherings so let's see what Sanoook has to offer. 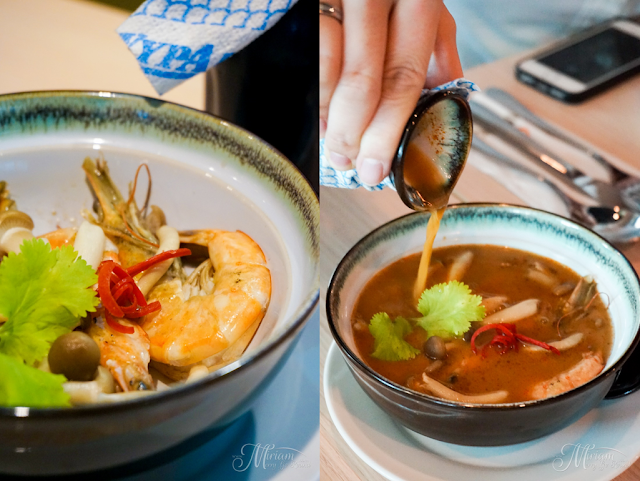 We were first served with Tomyum Soup with Prawn (RM23.90) which was delicately plated like a Japanese dish. Pour the rich tomyum broth into the bowl to enjoy this soup that hits your palate like no other. Although slightly on the heavier side, I must say that this is surely a concentrated bowl of tomyum soup. Another appetizer I quite enjoyed was the Pan Fried Tuna Steak with Spinach & Mixed Mushroom served with Teriyaki Sauce. Nicely seared leaving it still slightly pinkish and tender as well. 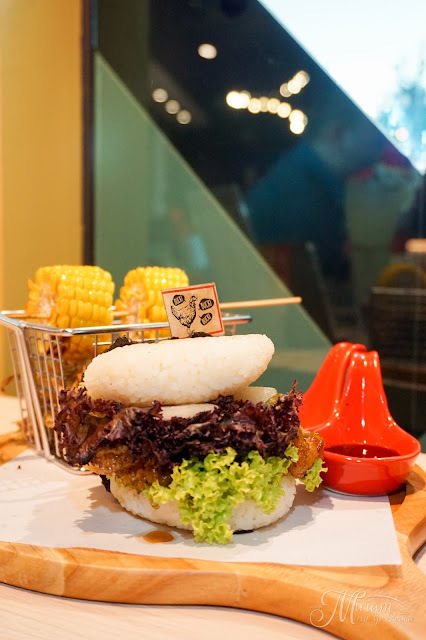 Something unique would be the Chicken Burger with Teriyaki Sauce (RM17.90) which has rice buns instead of the ordinary bread buns. Well marinated, the chicken meat is tender and juicy. With two rice buns, you would be sure to get pretty full. What's a gathering without some skewers? 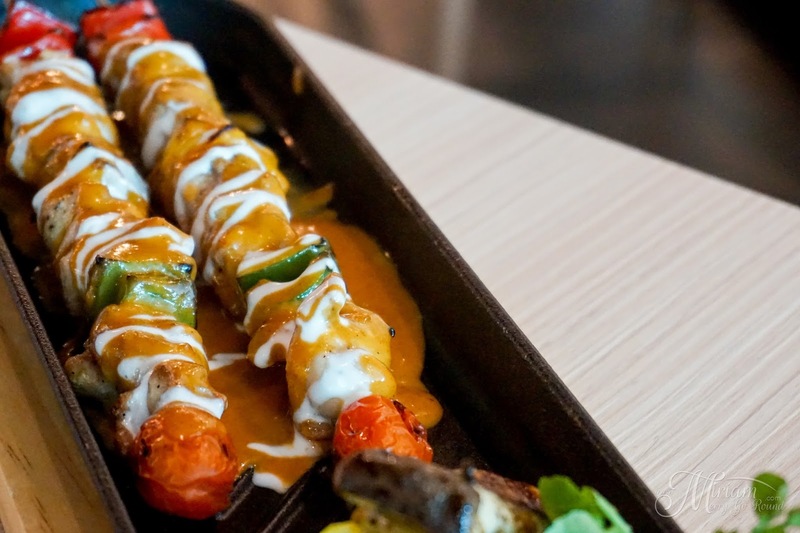 Here we have the Salmon Belly Skewers with Lime Chili Sauce (RM77.90) and the Chicken Skewer with Massaman Sauce (RM32.90). 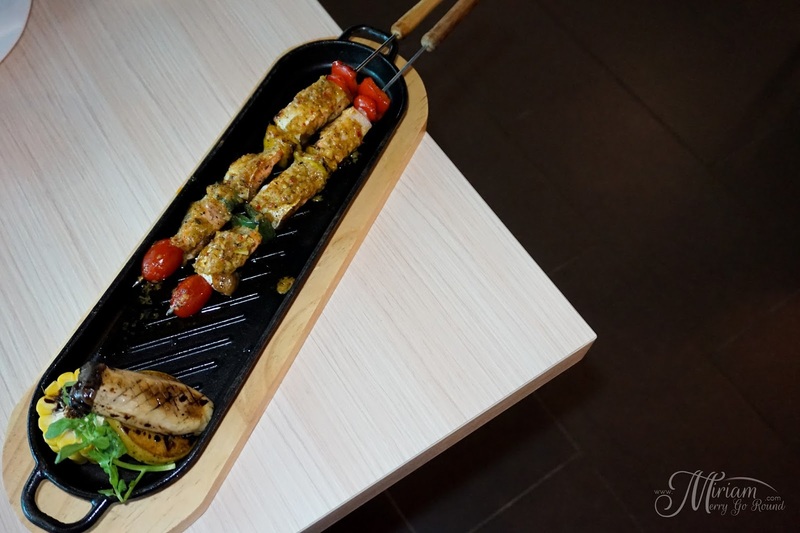 An interesting combination for the Salmon Belly Skewers which had a tangy sauce, not to overpowering and was rather a delectable skewer to enjoy. The Massaman Sauce paired with the Chiekcn Skewer is a Thai style curry sauce made from onions, peanuts and chilli giving it a creamy consistency with a kick in it too. We cannot say we had Japanese cuisine without some sushi. 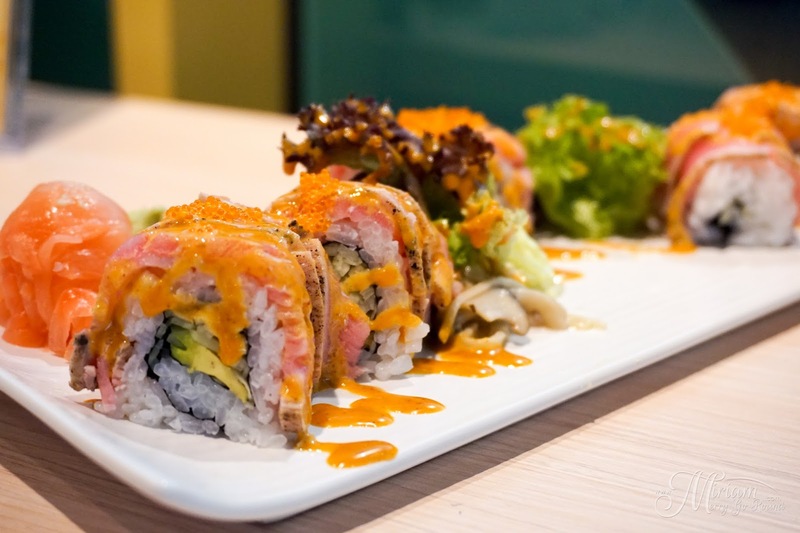 Sanoook serves fusion Thai-Japanese sushi like this Tuna Sushi with Tom Yum Sauce (RM27.90). 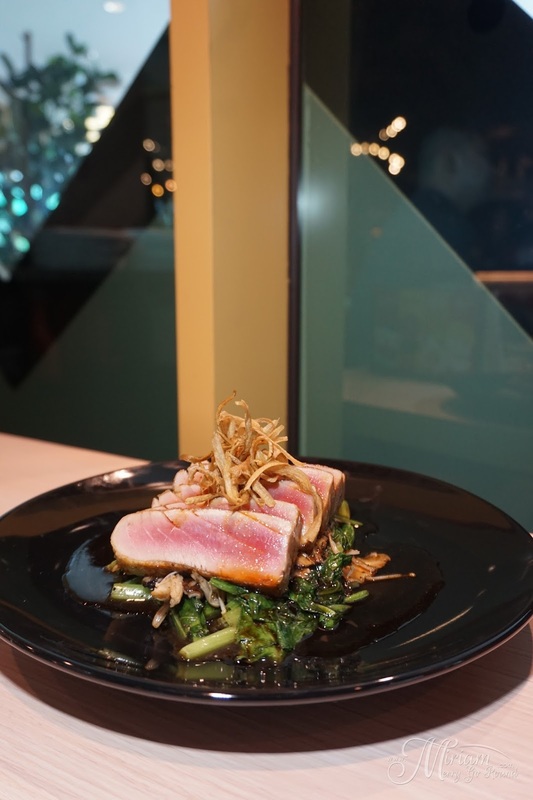 Pairing tuna sushi with tom yum sauce was definitely a Thai infused concept. Take note not to eat wasabi with this sushi or you might just lose the tomyum sauce flavor. 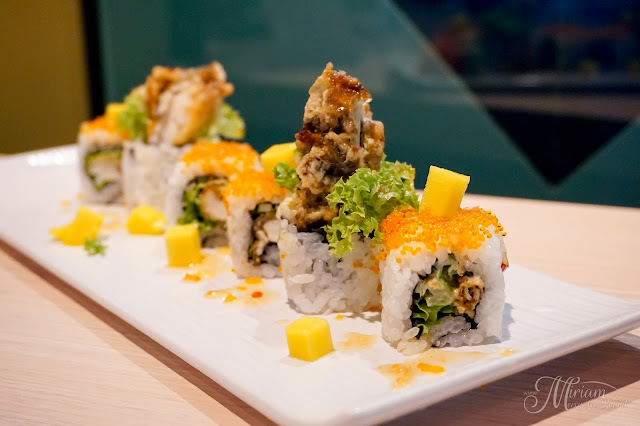 Fans of soft shell crab, try their Soft Shell Crabwith Thai Mango Chili Sauce Sushi (RM34.90) which has chunks of mango in it for a sweet and tangy twist. Soft Shell Crab will never fail me! Interesting combination using Thai Chili Sauce and definitely recommended to eat it without wasabi to enjoy the full taste of it. Every meal needs to end on a sweet treat where we tried both their Fresh Durian Ice Cream (RM21.90) with Coconut Milk & Sago as well as their Thai Volcano (RM18.90). 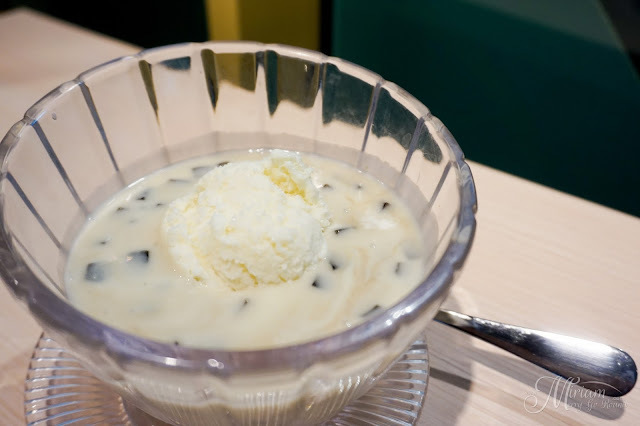 The Fresh Durian Ice Cream with Coconut Milk & Sago was a huge bowl of rich durian coconut milk combo! The bits of sago in it gave it that additional texture and was a nice dessert to enjoy plus they had grassjelly in it too! Make sure you share it because this portion is seriously made for sharing. 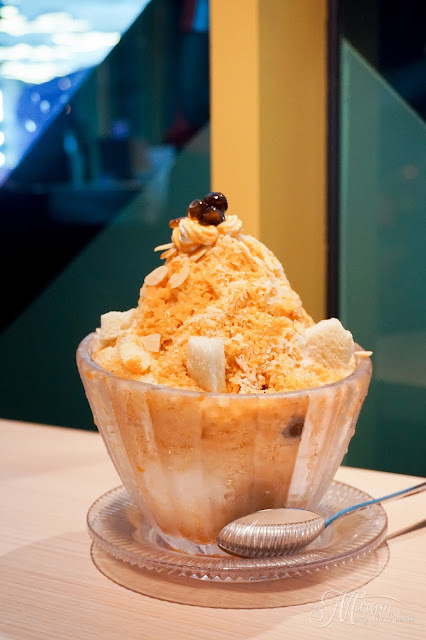 The Thai Volcano is an ice dessert with flour cake, milk tea, pearl and sago. Tasting just like Thai Tea, this infused icy dessert is great to beat the heat! The ice is not too coarsely shaved and melts right in your mouth which was really enjoyable. Dig in and grab a spoonful of all the ingredients for the best taste. 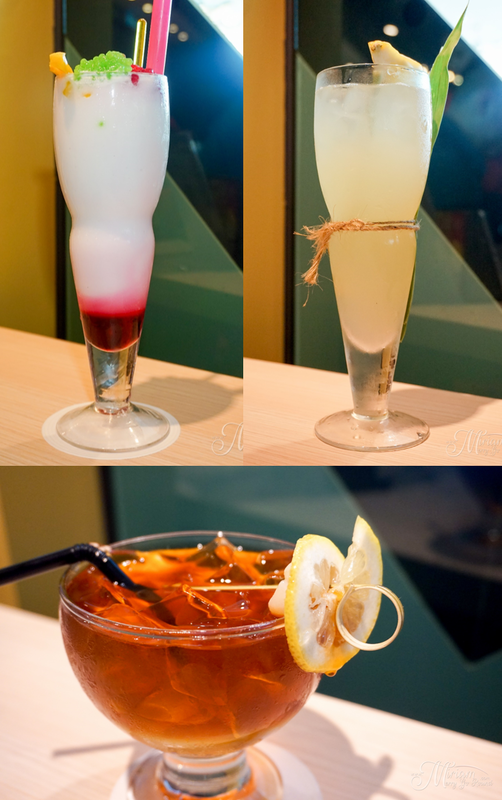 Do try some of their drinks. I ordered a Reddy Ruby-Ruby (RM15.90) drink which was the Thai Red Ruby dessert made into a drink. I did quite enjoy the drink which was not as heavy as the actually dessert and quite refreshing.